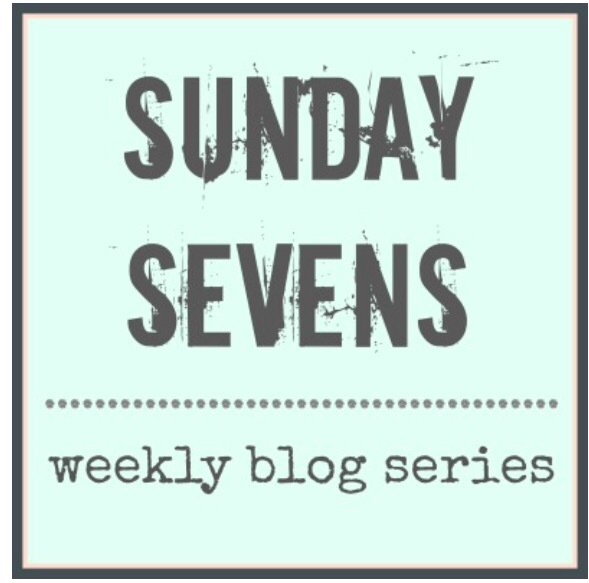 Another week where Sunday Sevens is published on a Monday, I was away over the weekend volunteering with the National Trust and last night was all about laundry and getting ready for the week ahead. It’s been a good week, with one sad event, here’s how my week’s been. We were very sorry to lose one of our hamsters this week. 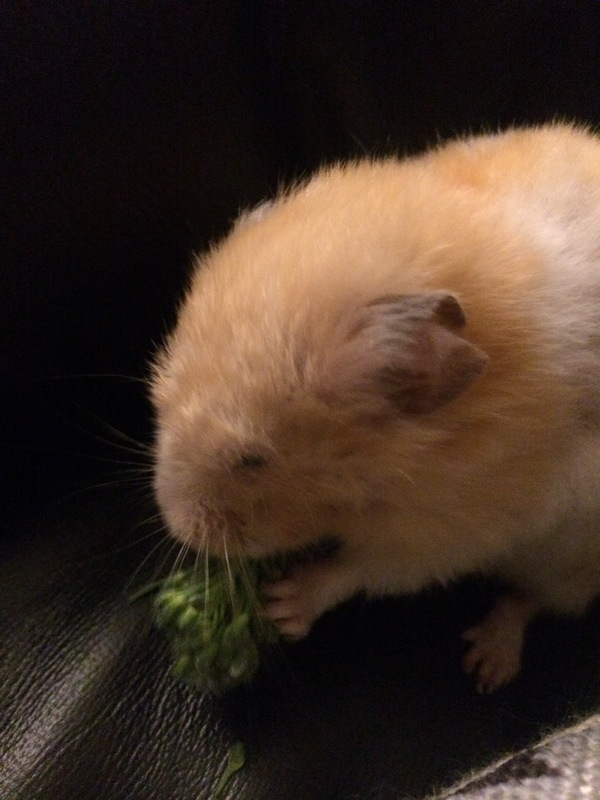 Brian (named after a character in Spaced) was a gentle and friendly hamster. He was also a chatty little creature, squeaking away in his sleep, in delight at his food being topped up and just as he went about his business. He was a Syrian hamster and was two and a half when he fell asleep and didn’t wake up, so he’s had a long life and we were glad that he spent it with us. He has a spot in the garden and will be much missed. Here’s a photo from this week, taken on Wednesday, when he was out enjoying a broccoli snack. Farewell Squeaky Brian. I’ve been enjoying watching Spring unfurling this week. 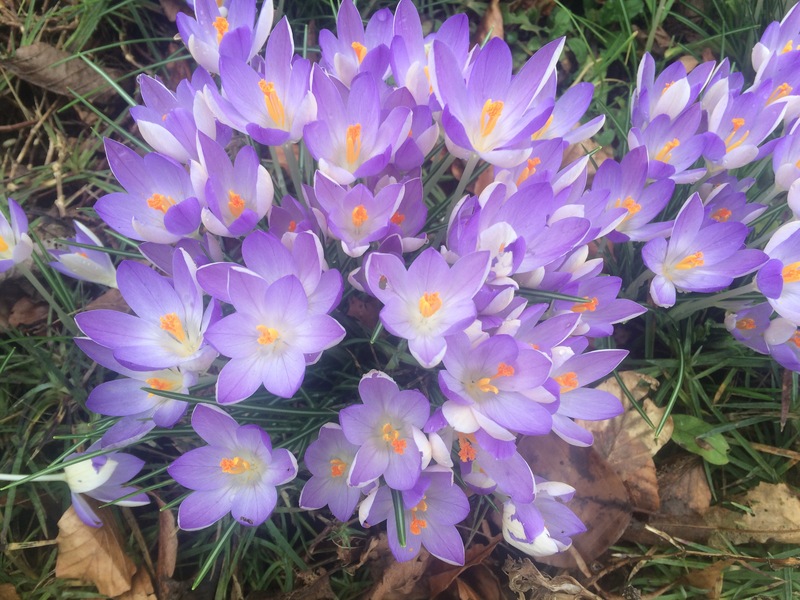 Each time I go for a lunchtime walk there is something new to see, these were out when I walked on Tuesday. The beautiful splash of colour with the splash of yellow from the stamen inside, delicate and beautiful really gladdened my heart. 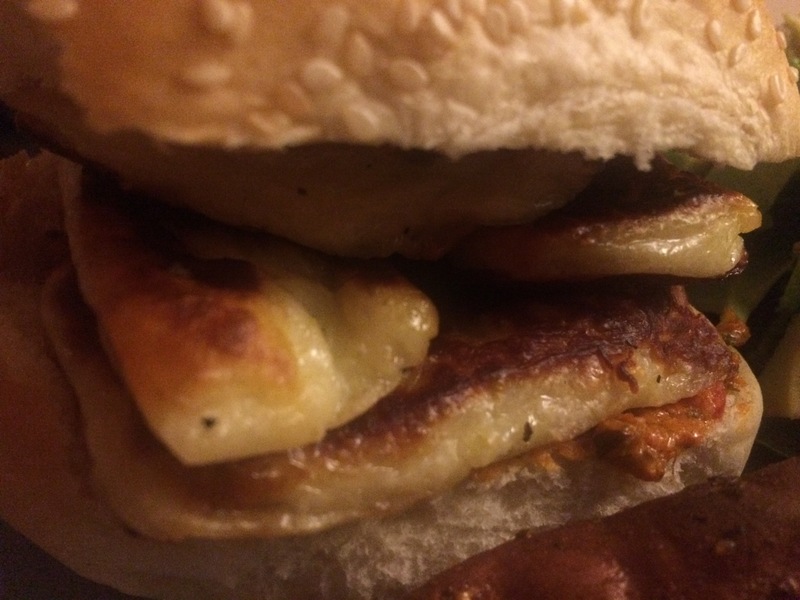 I set myself a challenge to make halloumi this week. We had a kit with instructions, a cheese cloth, thermometer and rennet included and I’ve been meaning to give it a try for a while. The time had come! Monday evening was cheese making night. First I added rennet to milk heated gently, then left the pan in a warm water bath for the milk to ‘set’ before separating the curds and whey. 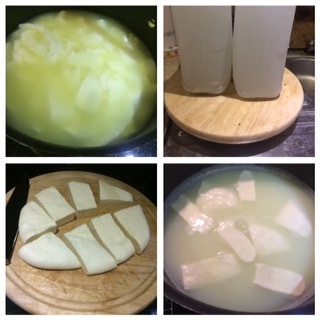 Once they were separated the curds were spooned into a cheese cloth and pressed between chopping boards, before being cut into pieces and cooked in the whey. 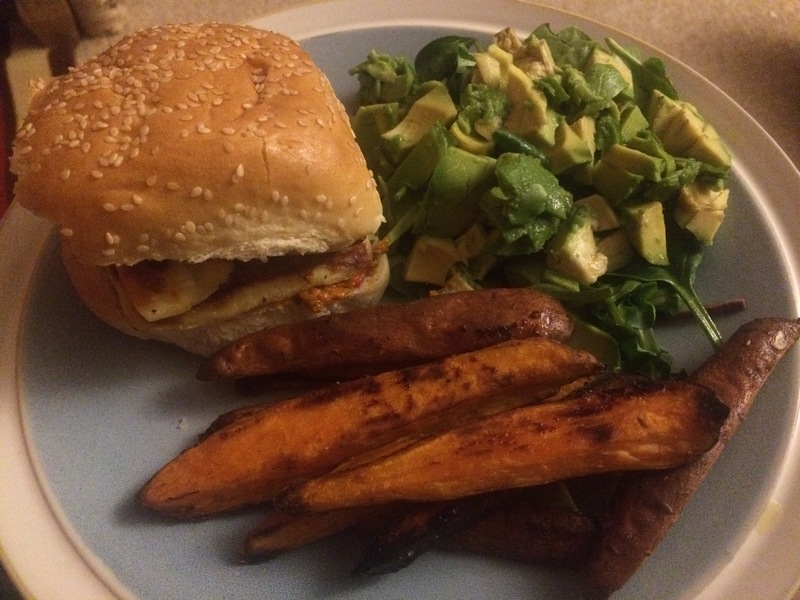 The cheeses were then salted and left until the next day, when we feasted on halloumi burgers with sweet potato fries and salad. Delicious! 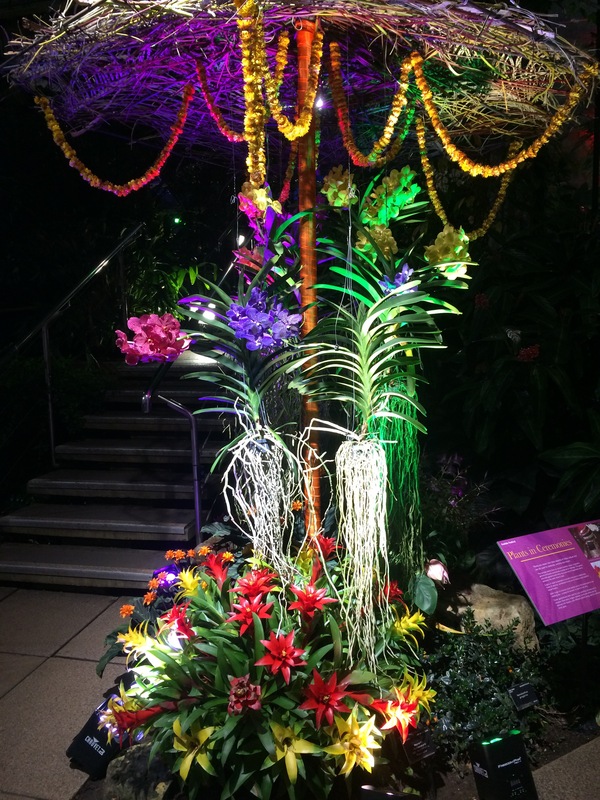 We had our next Alphabet Date this week, at Kew Lates, taking in the beautiful orchids at the annual festival at an after hours adults only event. I loved the vibrant colours, a tropical paradise on a wild stormy day. Here’s just a taster, full post to follow later in the week. 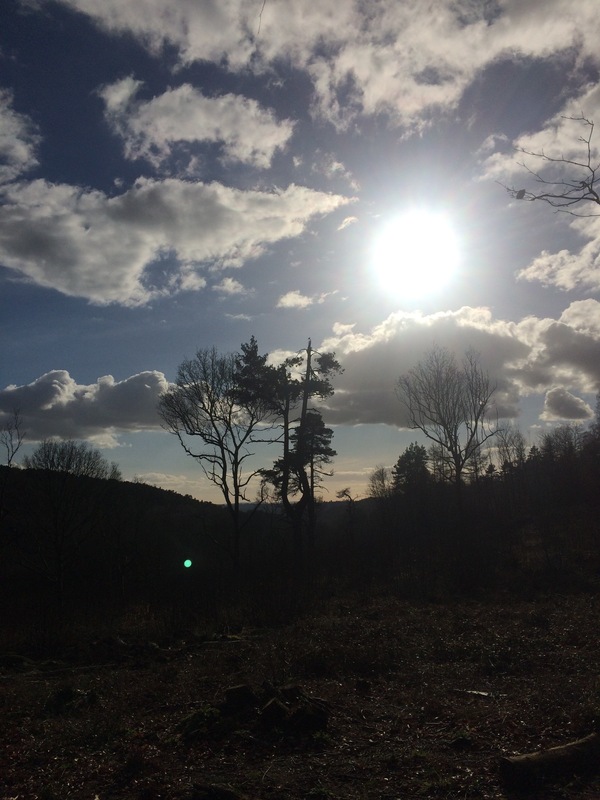 We were lucky to have Friday off, so we headed to Surrey, where we were spending the weekend volunteering, early and walked a nine mile circuit from the basecamp to the Devil’s punchbowl and back through varied countryside, in beautiful sunshine. We saw barely a soul and had a great day. 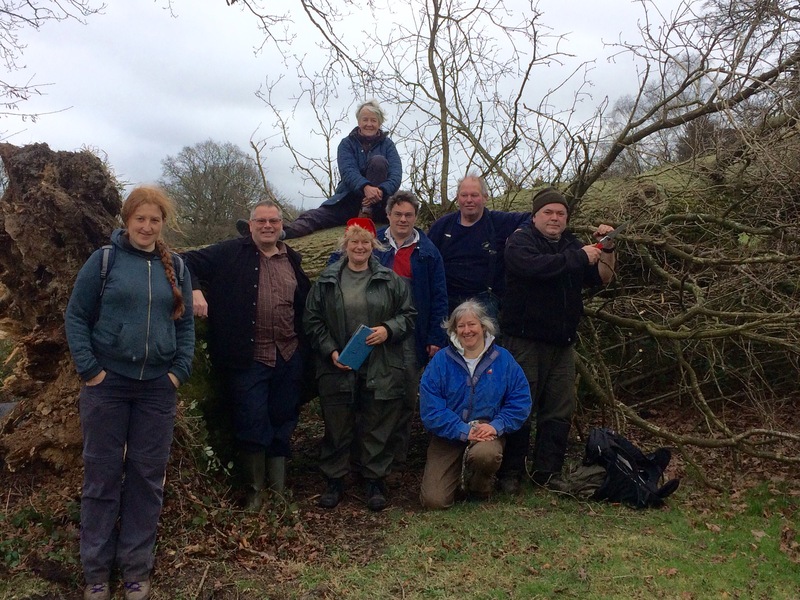 The weekend was spent volunteering with London West Middlesex National Trust Volunteers, working on Black Down, a large heathland site. 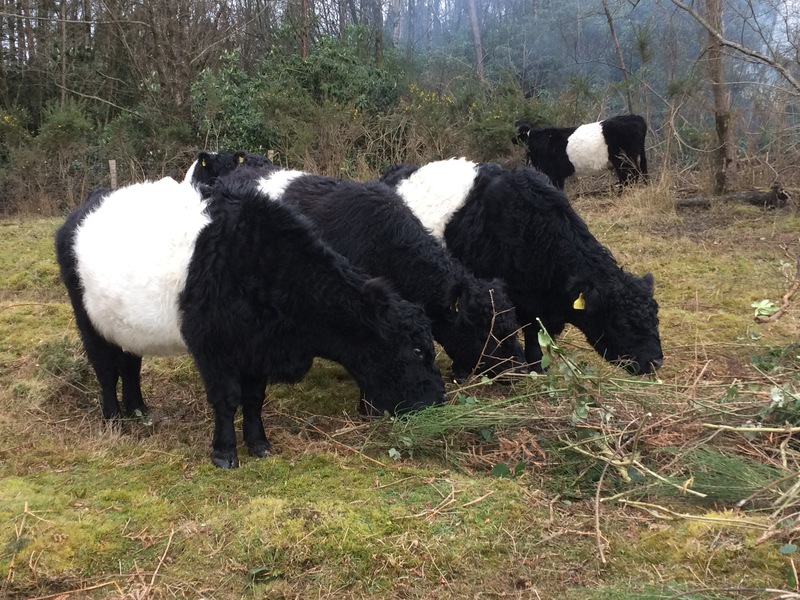 We were clearing gorse and birch from the Heath, and were helped out by the herd of seventeen belted galloways who graze the Heath. Aren’t they gorgeous? 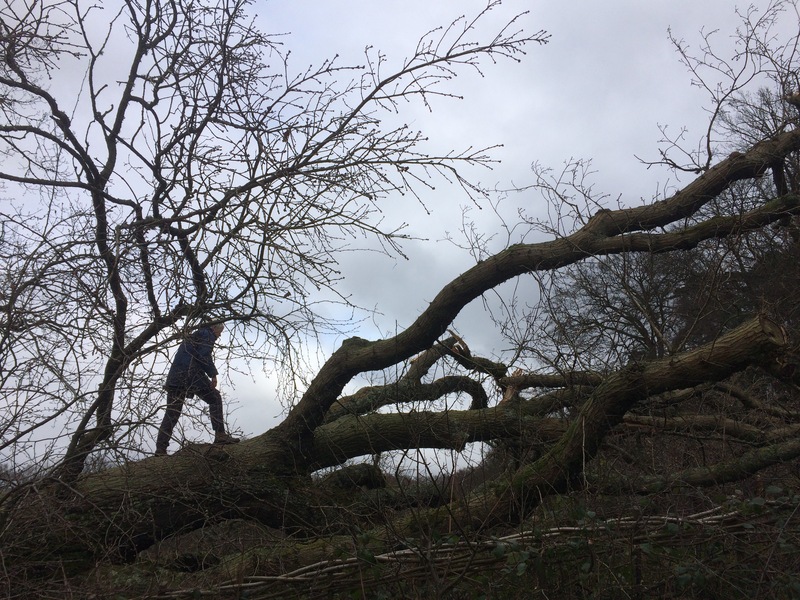 We were shocked to find when we arrived at Swan Barn Farm, where we were staying for the weekend at Hunter basecamp, that a large oak had been brought down by Storm Doris, fortunately falling into the field and away from the buildings! Here’s the tree with a volunteer exploring it for scale. And with part of the lovely group who we spent the weekend with. We had a great time volunteering and really made a big difference on the Heath. Hope you’ve had a good week, what have you been up to? Thanks to Natalie at Threads and Bobbins for setting up Sunday Sevens, a great way to show you the little moments that made up my week. I’m sorry to hear you’ve also had some losses. Even when it’s a small creature their absence leaves a sad gap in our lives.